Since so long, Microsoft Outlook has been recognized itself as a famous and reliable email client. Even till now, whenever users have to opt for an email application, Outlook comes first that strikes in every user’s mind. One of the most attractive features that differentiate it from another desktop applications is available to work with offline mode. It provides the facility to work in offline mode or server breakdown occurs and saves each data items in OST file type. However, most of the times the users have faced the corruption and synchronization problems with Offline OST file. In the following segment, we are going to discuss multiple ways how to fix OST synchronization problem & corruption issues in Outlook and much more details. What is OST Synchronization Problem? The main significance of Outlook OST file is that whenever users have faced any trouble in accessing a server or network connectivity issue, MS Outlook allows them to perform in such situations. In fact it can be saved the entire data in offline OST file, which becomes synchronized with Exchange Server automatically at once the network connection is re-established. Therefore, the users get the data in synchronized way but did not make any special efforts. Moreover, in multiple cases, OST file failed to sync with the servers and does not make changes that have been done in the offline mode. 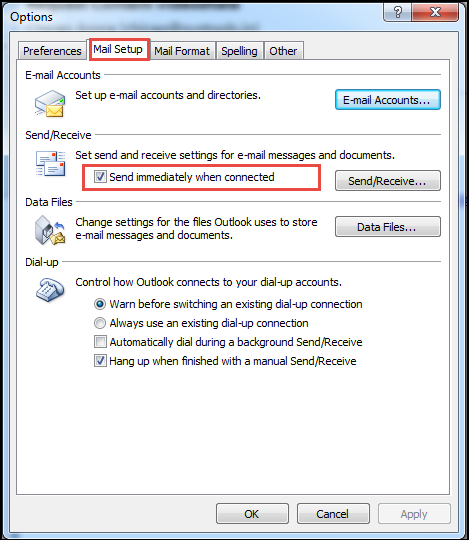 This creates a major issue for Outlook users as OST synchronization is the factor that can be relied during the failure. All the above Outlook issues occurred due to the fact that Outlook OST file failed to get synchronized with Exchange server, which creates multiple negative situations. 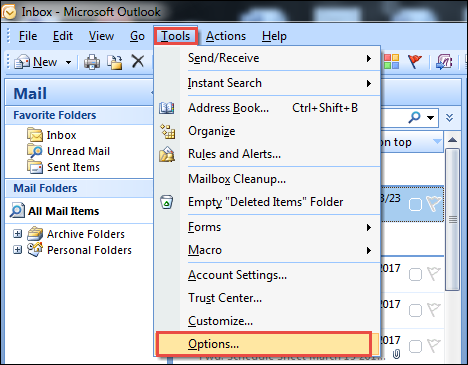 First, log in to Outlook account and select the Tools from the menu bar. 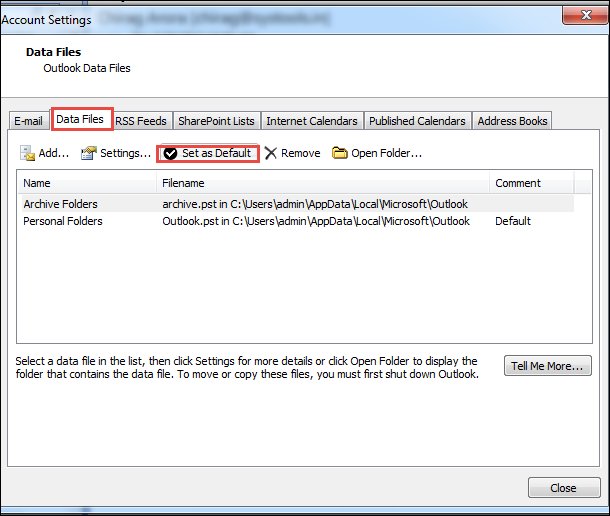 Then, click on the Data Files icon and choose the desirable profile name that needs to be synchronized. Next, Press on Set As Default option. Now, Browse the selected Email and choose the Account name. After this, go to the Settings option. Make sure to enable the Use Cached Exchange Mode option in the Advanced tab. First of all, Selecting the Outlook folder, which needs to be synchronized. After this, click on the Tools and then, choose the Send/Receive option. Next, press on This Folder that can be synched the required folder. Open the Tools, go to Options and click on the Mail Setup. In the Send/Receive option, tick mark to the Send immediately when connected option. 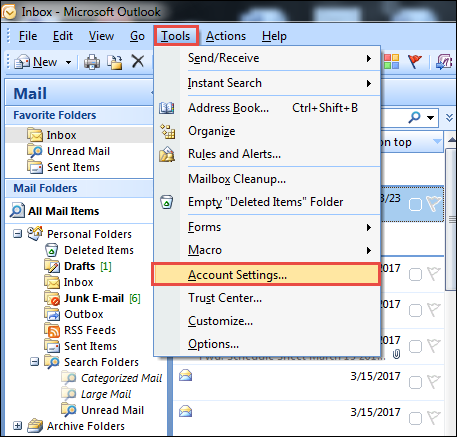 While accessing the Outlook data, users have faced synchronization and corruption issue due to the server downtime, network connectivity in Outlook offline folder. 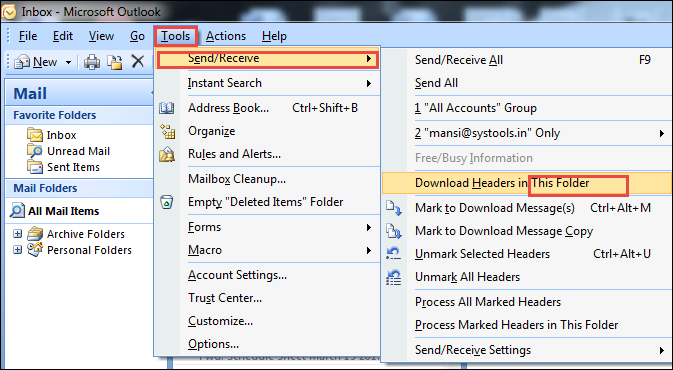 In the above segment, considering the most common query How to fix OST synchronization problem in Outlook. Moreover, we have covered every possible way to resolve the synchronization and corruption error in Outlook.